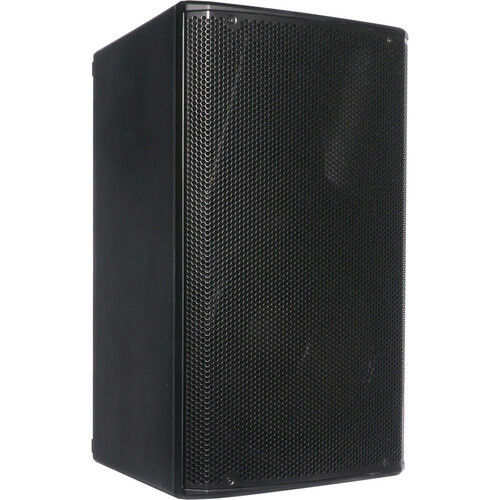 The Opera Unica 15 1800W 15" 2-Way Active Speaker by dB Technologies is designed for professional live sound reinforcement applications. It features a RDNet capable, Class-D DIGIPRO G3 amp module with 1800W of peak power, a 15" neodymium woofer, and an asymmetrical horn, which combine to deliver a frequency response of 61 Hz to 20 kHz with a peak SPL output of 133 dB. It offers networkable capability via an Aurora Net control software (available as a free download at dB Technologies' website), via the integrated RDNet ports allowing EQ, delay, and processing customization and real-time monitoring of the PA system in use. Furthermore, the sound processing features linear-phase FIR filters, which allow a linear response, resulting in an intelligible audio performance from the listeners' position. Equipped with a tilted side for wedge positioning, a 1-3/8" pole mount for a tripod speaker stand, and handles, which allow an easy displacement. You can also use a wall bracket (sold separately) for permanent installation, and for truss mounting.